The upcoming Christmas holidays are a great time to catch up on the learning you haven’t had the chance to do during the busy-ness of the working year. It’s also a good opportunity to think about the health of your learning. That is, how much learning are you consuming and what’s the nature of that consumption. Do you spend most of your time consuming meaningless TV or perhaps trashy novels, which is the equivalent of a ‘junk food’ diet? Or do you seek a broad range of learning so there is a mixture of sources that are entertaining, informative and challenging, which is the equivalent of a ‘whole food’ diet? 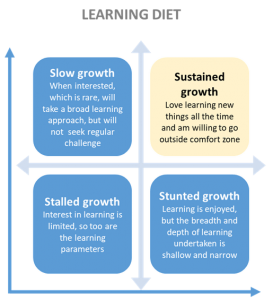 Is your appetite for learning limited so you do the bare minimum, or are you always hungry and eager to know more? Your answer to those two questions will help determine what type of learning diet you are on. In a world that is constantly changing, embracing learning in its many forms and experiences is crucial. Your interest and willingness to learn new things impacts the choices you can make and ultimately your success. Is it time to either shift the type of material and information you consume or to consume more regularly? Perhaps it’s a bit of both. 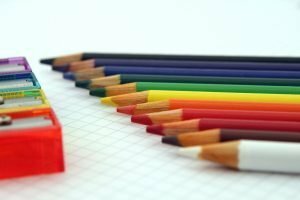 If you are looking to shift your learning diet, here’s some ideas to get you started. I’m a hoarder of books, and I need to constantly remind myself to stop buying books until I’ve read everything on my bookshelf. It’s a reminder that never quite seems to work. The upside is I always have plenty of options when seeking a new book to read. Below is a list of some of my favourite reads from 2018, some of which have been around for a while. Emotional Agility: Get Unstuck, Embrace Change and Thrive in Work and Life by Susan David. The premise of this book is that emotionally agile people are not immune to stresses and setbacks. The difference is they know how to gain and use insight about situations and interactions from their feelings, to adapt and make changes to enable them to live a successful life. Carrots and Sticks: Unlock the Power of Incentives to Get Things Done by Ian Ayres. Drawing on the principles of behavioural economics, this book looks at when to best use carrots and sticks (or a combination) to achieve changes in behaviour. It also explains how ‘commitment contracts’ can aid the achievement of goals. Sham: How the Self-Help Movement Made America Helpless by Steve Salerno. Written by an investigative reporter this book looks at the self-help movement and its impact on American life (and you can translate that in to other geographies) and he espouses that the ‘empowering’ messages that dominate are damaging. It’s an interesting perspective. The Hinge Factor: How Chance and Stupidity Have Changed History by Erik Durschmied. If you are a history buff, this is worth the read. It looks at major conflicts in history from the battle at Agincourt to the Civil War and the Gulf War and explains how it is often the inconceivable that determines the outcomes. The Eighteenth Century Woman by Olivier Bernier. A fascinating book charting the lives (the rise and often downfall) of 14 of the eras most powerful women. The Slight Edge: Turning Simple Disciplines into Massive Success and Happiness by Jeff Olson. This is an easy to read book and you can skim much of it, but it’s core message around the small changes you can make each day to change your life is simple, but effective. And it can’t all be cerebral, so if you are looking for something light try Adrian McKinty’s Sean Duffy series and Deborah Challinor’s The Convict Girl series are worth checking out. Have fun. When you fall in love with learning, it really is fun! 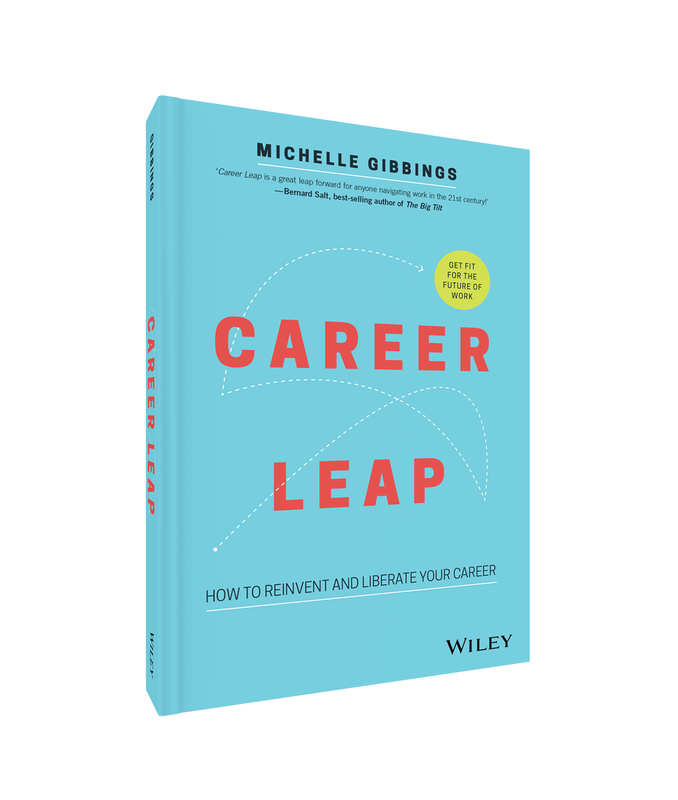 Michelle Gibbings is a change leadership and career expert and founder of Change Meridian. Michelle works with global leaders and teams to help them get fit for the future of work. She is the Author of ‘Step Up: How to Build Your Influence at Work’ and ‘Career Leap: How to Reinvent and Liberate Your Career’. For more information: www.michellegibbings.com or contact [email protected].